1/8" ID x 1/4" OD x .062" Wall Black NSF-51 Polypropylene Tubing | U.S. Plastic Corp. 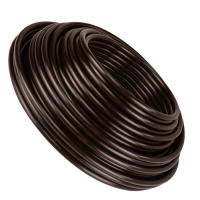 This 1/8" ID x 1/4" OD x .062" Wall Black NSF-51 Polypropylene Tubing has a working pressure of 272 PSI @ 73°F.